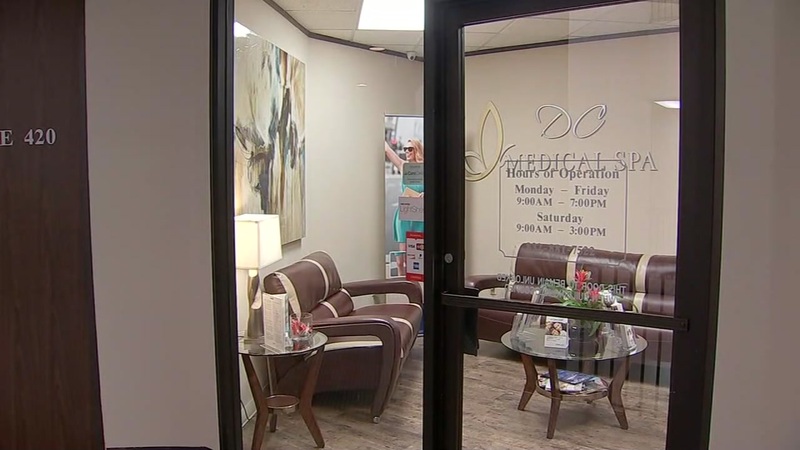 HOUSTON, Texas (KTRK) -- A cosmetologist has been charged with practicing medicine without a license. Lilibeth Camargo works at DC Medical Spa near Gessner right off of I-10. The Harris County District Attorney said Camargo gave buttock injections that led to complications for at least two patients. "It's a very dangerous thing to do, operating medicine without a license and ... we don't know what she was injecting into their buttock," said Harris County Assistant District Attorney Nathan Moss. ABC13 spoke with one of women, who said she became very sick after Camargo gave her injections. The woman, who wanted to go by Jennifer to protect her identity, said she had a serious infection after receiving the procedures. "I felt so sick that day. I had the chills, fever. The next day I went to emergency room," said Jennifer. Jennifer said her doctor told her she had an infection from the substance that was injected into her body. The state medical board said Camargo does not have a medical license. DC Medical Spa told ABC13 she is licensed, but refused to comment any further. Plastic Surgeon Shayan Izaddoost, MD, Baylor College of Medicine, has seen cases like Jennifer's. "We see cases where people have had either silicone or hydrogel, and it can be multiple different materials and they come into the emergency room with infection, drainage from different areas of the body. So, what we usually do is clean that out in the areas that we see," said Dr. Izaddoost. In addition to infections, Dr. Izaddoost said there's another serious possible complication. "There are cases where patients have had the complication where the injections were too close to the nerves," said Dr. Izaddoost. Dr. Izaddoost said the best thing to do, is do your research and make sure your doctor is certified. Dr. Izaddoost said those certifications should come from the American Board of Plastic Surgery or the American Society of Plastic Surgery.